We explain how to reduce the risks for your baby. 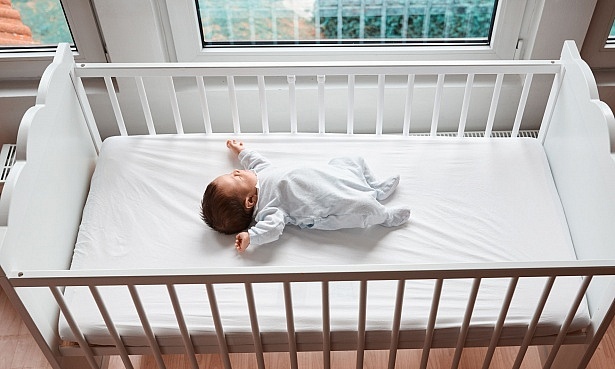 Deaths attributed to Sudden Infant Death Syndrome (SIDS, formerly known as cot death) have risen in England and Wales for the first time in three years. In 2016 there were 219 sudden infant deaths, which is the highest number since 2013 when 252 deaths were recorded, according to the Office for National Statistics (ONS). The ONS categorises all instances of sudden, unascertained and unexplained infant deaths as SIDS. Cases of SIDS have largely been decreasing since 2004. But in 2016, the most recent available year for data, there was an 11% rise in cases of infant deaths compared with the previous year. 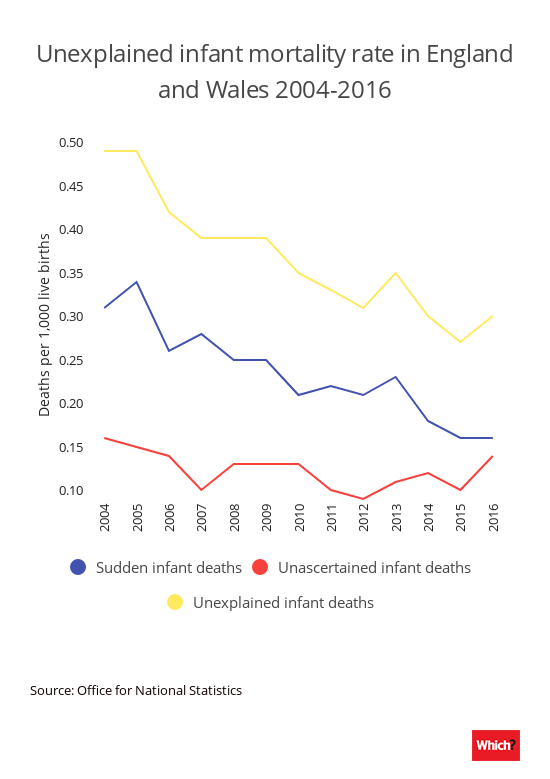 So while cases of SIDS have declined overall over the past decade, infant mortality rates have increased for the second year running in England and Wales. Find out which cot mattresses we believe could present a smothering risk – don’t buy these cot mattresses. SIDS is the unexplained death, usually during sleep, of a seemingly healthy baby less than a year old. It was formerly known as cot death. It’s not known precisely why some babies die suddenly and for no apparent reason, but there are a number of things that can reduce or increase the risk. 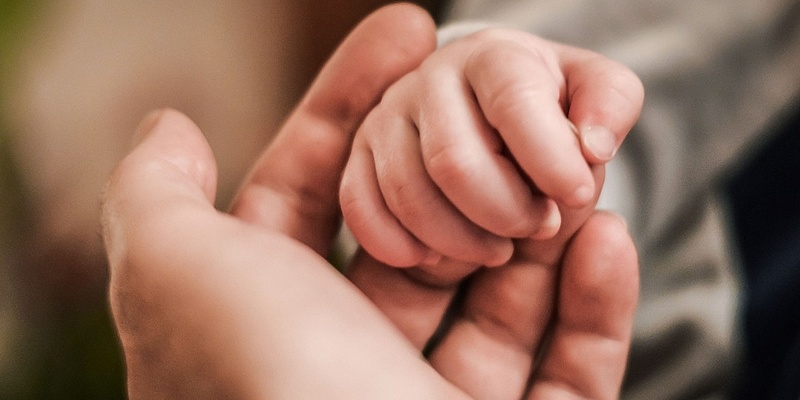 Jenny Ward, acting CEO of The Lullaby Trust, said: ‘It is deeply concerning to see a rise in the rate of sudden infant death syndrome (SIDS) in England and Wales. 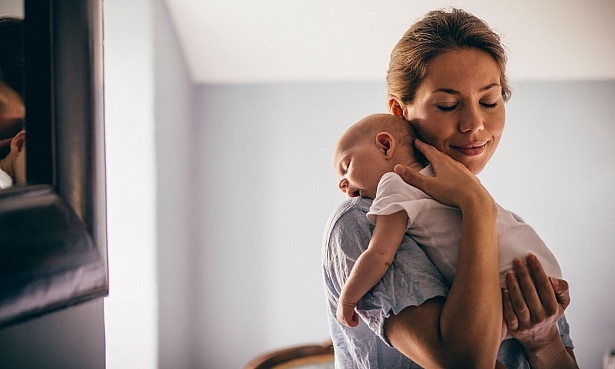 ‘The previous downward trend in SIDS deaths has been largely attributed to increased awareness of safer sleep advice, so it is crucial that parents and professionals are made aware of how to reduce the risk. The Lullaby Trust offers guidance about safe sleep. Read our guide to safe sleeping: how to reduce the risk of SIDS for your baby for further advice on the best way to put your little one to sleep. Which? Birth Choice: Sign up for free baby safety alerts plus expert advice and support for parents. A vital part of safe sleeping is ensuring a safe cot mattress and bed for your baby. Our tests include a number of key safety and durability tests to make sure that your child’s safety won’t be compromised. Read our guide to cot mattress safety for our top tips, and take a look at our Best Buy cot mattresses to see which mattresses sailed through our tests and are safe to buy.